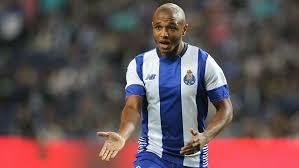 Arsenal are in pursuit of Porto winger Yacine Brahimi for a possible free transfer deal during the summer transfer window, unconfirmed sources claim. He attracted interest from the Gunners when Arsene Wenger was still manager back in 2016 and have now been relisted on their books. The impact of the 28-year-old has helped his side gain top spot in the Primeira Liga where he has contributed seven goals. By the end of the season, his current contract will expire and if there is truly any interest from the Gunners, he could be coming over to the Emirates Stadium for no fee as he will be a free agent by then. Having been told that he will have to manage a meagre £45 million to bring in new legs at the end of the season, Unai Emery is said to be looking for smart ways to acquire players which will be to pounce on those who by that time will have no fee attached to them. Brahimi's four and a half year reign at the Portuguese club means he has gathered a lot of experience which will help add spark to the struggling squad at Arsenal. Despite having French nationality through birth, Brahimi chose to represent his homeland Algeria at international level and has raked a total of 39 appearances for them. Now that Arsenal have almost lost all hopes of gaining silverware with the only option being the Europa League, their focus is now mainly on next season. They are looking to build a title-contending squad in time for the start of the 2019/20 campaign. Let us wait and see how things play out for them.